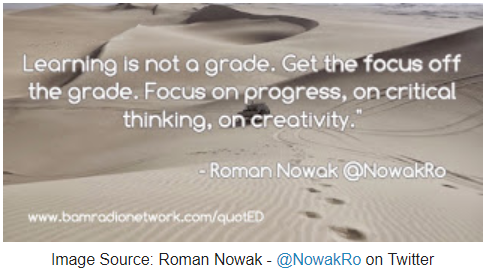 Day 23 of the giftEDnz blog challenge is all about shifting our focus...are we too focused on assessment? Have we narrowed the curriculum too much? Over the past 8 years since the introduction of National Standards, we have faced an ever-narrowing curriculum and learning and teaching focus. The pressure on teachers to show that their students are achieving has been enormous and there is little evidence that this intense focus made any impact on achievement levels. Anecdotally, we had many students who were not engaged or motivated in their learning. Some schools worked well with the standards and worked incredibly hard not to narrow the curriculum, others had an enormous focus on standards without connection to real learning. These are all things dear to teachers' hearts. There is one area on this list which I think warrants further open and honest discussion and it is that of teachers needing to 'inquire into the teaching and learning relationship.' I'm going to reflect on this in another post but I'm wondering if we've gone too far with the incredibly in-depth inquiries we are expecting of our teachers? Some of these inquiries are so in-depth that they are almost mini theses. If we're going to refocus on learning and teaching, we also need to address what is happening in this area as well. Of course we need to reflect on our practice - that's one of the most powerful aspects of what we do to make sure that our learners are progressing, but does it need to be done in the depth of detail that is currently occurring alongside the evidence that must be recorded for Practising Teacher Criteria. We know that reflective practice is what leads to changes in practice but we need to be realistic to ensure that the focus is not on too much on this and shifts our focus from the students. Of course, it’s absolutely necessary and they all work in together to help us meet the needs of our students but, like anything, we need to make sure that there is a balance. 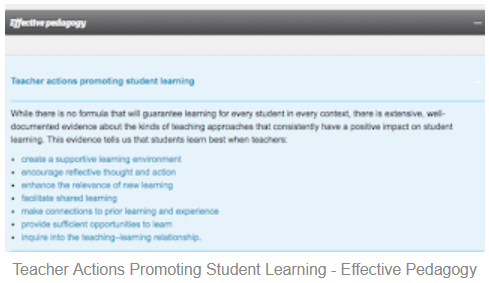 The Key Competencies were intended to be the driver of the curriculum with the learning areas providing contexts that would link to real-world learning connections. Too often they have become a checklist to be ticked off with little depth and connection. The NZC has often become the place where we go to get the appropriate Achievement Objectives. If we can go back to the original intent of the NZC and understand how the Vision, Principles and Values form the overarching structure with the Key Competencies and Learning Areas underpinning these, then we have the start of a winning formula to increase motivation and engagement in learning for our students and a chance to really improve the learning environment for all, including our teachers who will be able to again focus on what they signed up for. Perhaps we could have fewer behaviour issues as well. A simplification of all of the complex problems we face, I know, but it's a starting point.We have the chance to take a broader view of learning and teaching but there is much-needed professional learning and development around the NZC and its original intent. Yes, we still need assessment - that guides our 'where to next' and ensures that we're meeting the needs of our students. 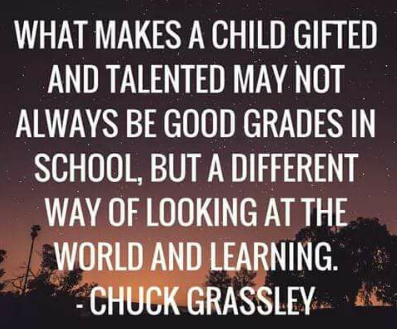 However, it needs to have a purpose and to not always be focused on a test. There are so many different ways to assess how our students are achieving and their voices needs to be at the centre of this. By refocusing on the NZC we have a chance to put creativity and passion back into learning and teaching. "These principles put students at the centre of teaching and learning, asserting that they should experience a curriculum that engages and challenges them, is forward-looking and inclusive, and affirms New Zealand's unique identity." New Zealand Curriculum (2007, p. 11). JUSTINE HUGHES: I am a teacher, innovator, creator and life-long learner who is passionate about helping students and teachers become excited about their own teaching and learning. My goal is to always put learners in charge of their own learning - no matter what their age. I am passionate about blended learning and what the future holds for education around the world. How will these links form in teaching and learning? What will our classrooms look like in 10 years - 5 years?! Will we succeed in flattening the classroom learning environment and linking classrooms, schools and countries together in a digital environment? 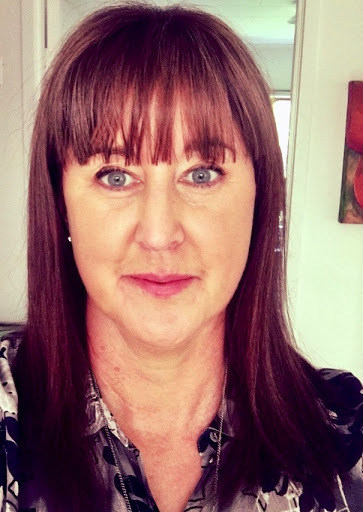 I completed my Masters in 2015 and a Postgraduate Certificate in Digital and Collaborative Learning at The MindLab in 2016 and have started my PhD through the University of Otago, focusing on Gifted and Talented Education in Aotearoa New Zealand. I have previously been an Online Community Developer for TeachThought and Co-founder of Te@chThought #reflectiveteacher chat with Beth Leidolf. Original generation time 1.2819 seconds. Cache Loaded in: 0.0569 seconds.